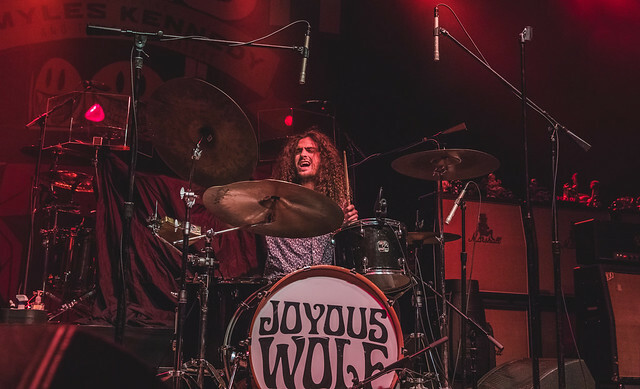 Joyous Wolf Shake, Rattle and Roll Thru Long Island Reviewed by David Zeck on October 13, 2018 . Southern California Rockers Joyous Wolf have been making waves for well over a year now. 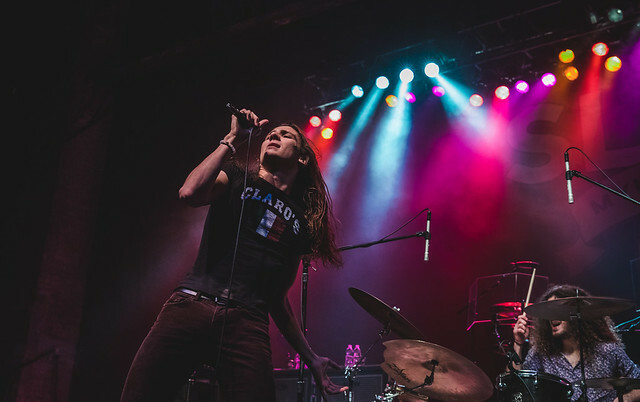 The group, which consists of vocalist Nick Reese, guitarist Blake Allard, bassist Greg Braccio and drummer Robert Sodaro, are part of a small group of up and coming bands who are breathing life back into rock n’ roll. 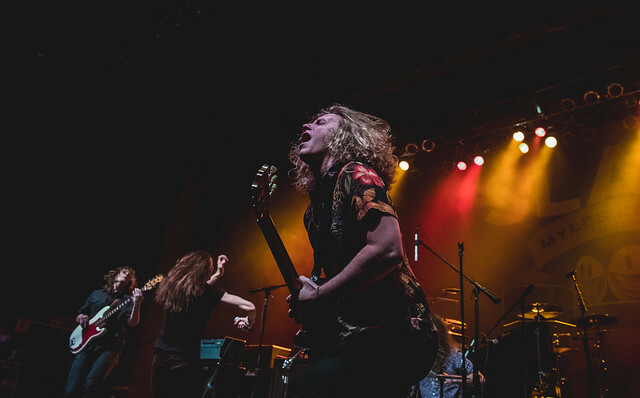 Like their counterparts Blacktop Mojo, Tyler Bryant and The Shakedown and Greta Van Fleet, Joyous Wolf have been touring the world and making major impressions on fans all over the globe. In fact the band even caught the attention of legendary record label Roadrunner Records with whom they just released their first singles with. The tracks released include their incredible cover of the Mountain classic “Mississippi Queen” as well as a new original track “Slow Hand.” The band is currently back on the road and I caught up with them in Long Island, NY at The Paramount where they happened to be opening for none other than Slash. I admit, I’m ashamed to say this was my first time seeing Joyous Wolf live. I have quite literally heard nothing but great things about these guys for the past two years and unavoidable timing just never worked in my favor to catch their performance. That however all changed now and I’m happy to report these guys seriously kickass, their live performance was high energy and completely memorable. 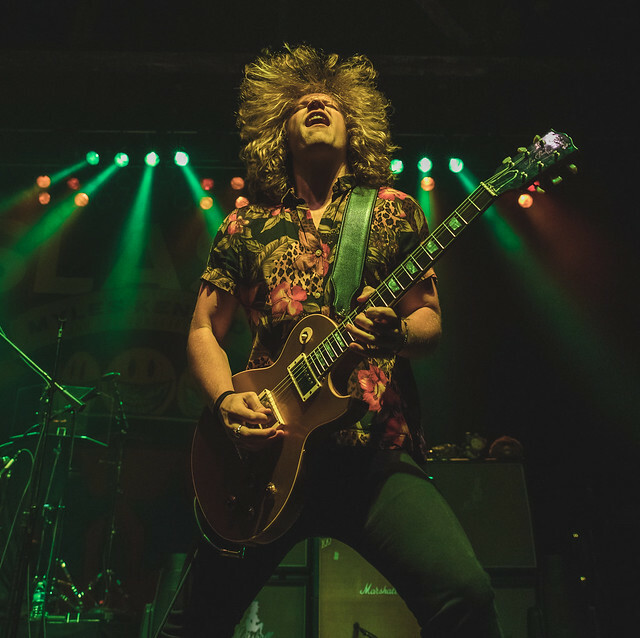 Though opening in front of Slash fans could be intimidating, especially a packed venue of them, Joyous Wolf dominated their opening slot, proving once again there is no obstacle they can’t tackle. The band had The Paramount bobbing their head and screaming with excitement after each song. 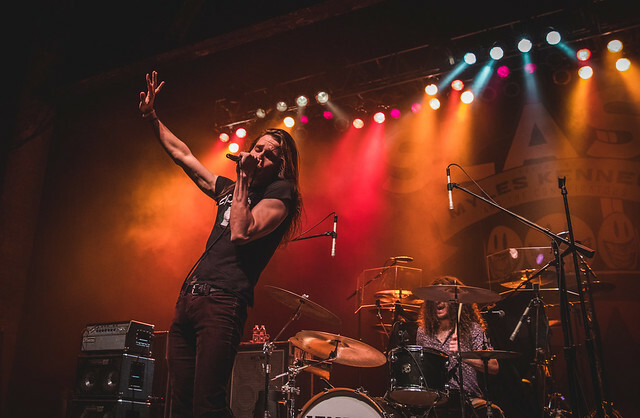 Singer Nick Reese’s vocals are raw, emotional and downright flawless live, in fact the entire band is tight and invested so heavily in the music, it shines through in the performance. Drummer Robert Sodaro could be seen smiling throughout the whole set, while guitarist Blake Allard would slam away on his strings. 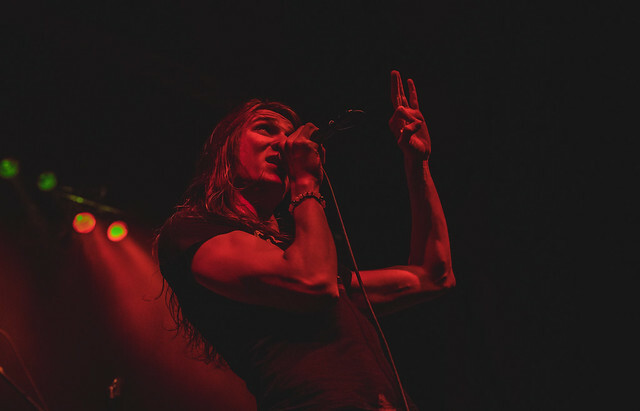 Vocalist Nick Reese is one of the most captivating frontmen I’ve seen in a long time. He even shakes, rattles and rolls across the stage and his energy is contagious. After seeing this performance, it’s easy to see why so many are talking about these guys. Their take on the classic sound of the rock n roll we’ve all come to know and love reinvented with a twist of their own. I highly recommend going out of your way if you have to in order to see these guys live! See gallery of the night! You can download/stream “Slow Hand” & “Mississippi Queen” HERE.